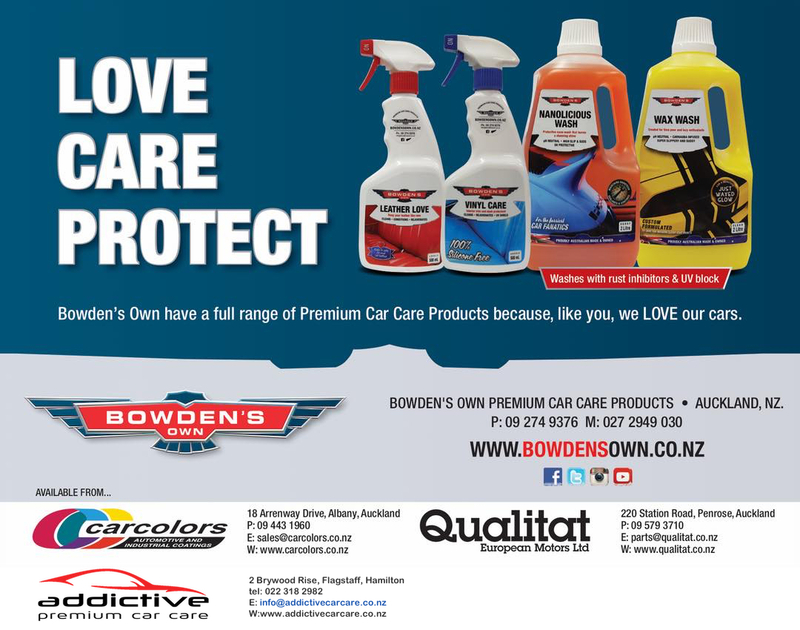 BOWDEN'S OWN CAR CARE PRODUCTS ARE NOW AVAILABLE IN NZ! Welcome to Bowden’s Own New Zealand. Superior car care products specifically formulated by ‘car lovers’ for the conditions we experience ’down under’ with UV blockers, rust inhibitors, neutral PH and safe for the environment. The Bowden family name is held in high esteem by car fanatics and enthusiasts. As car lovers ourselves, we are extremely proud that the Bowden family have chosen Innopak to exclusively represent Bowden’s Own car care products in New Zealand. WARNING: Bowden's Own products can be addictive!. We stock a comprehensive range of products in our East Tamki warehouse in Auckland to help with your addiction! Click the link below and you will be taken to the Bowden’s Own Australia web site - the holy grail of car care. www.bowdensown.com.au site shows some of the fine cars in the Bowden Car Collection and has guides to help select the best product for your car. Alternately, you can call or e-mail us using the details at the top the page. We look forward to being of service and supplying these ultimate car care products from our East Tamaki warehouse.